Welcome to Fresh Perspective Fridays. FPF serves as a vehicle for us to bring you inside the doors of Rymax – where you can better get to know our people, our culture, our philosophies and values. Today we bring you the first installment of a two-part series featuring the highlights of our September B.E.S.T.17 event! B.E.S.T. 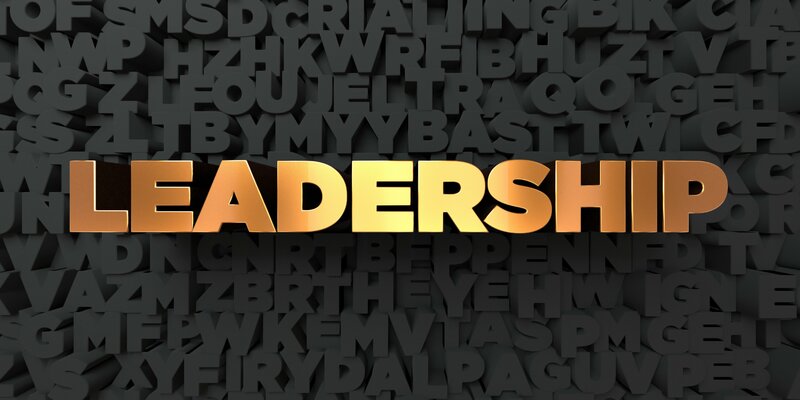 sessions were created as an integral piece of our business strategy to gain insight into our key brand partners and integrate their most successful products into Rymax’s product portfolio. This allows us to keep our finger on the pulse of the latest trends and innovations and ensure that we are offering today’s hottest merchandise! Here’s a glimpse inside this September’s B.E.S.T.17, which this year consisted of many products focused on Smart technology. Whether home or away, work or at play, these great products will keep you connected through your devices and free of hassle, headache and worry. Many thanks to all the visiting brands that shared these amazing products with us during the two-day event. Honeywell is a consistently innovative company that invents and manufactures technologies that tackle safety, energy and security challenges all around the world. With 84% brand recognition in the world for home safety, Honeywell’s goal with every product is to enhance the quality of life while building a safe, comfortable and productive world. Highlighted by Honeywell at B.E.S.T.17 is the Digital Door lock and Deadbolt. This built-in safety lock system ensures the tightest security for your home or workplace via Bluetooth technology. Paired up with a mobile app, the Bluetooth lock can be locked and unlocked from your mobile device. Want to let someone in your home while you’re gone? No problem! This product allows homeowners to send any house guest or visitor a one-time code that expires after one or more uses. Standing for Innovation, Lifestyle and Unquestionable Value, iLuv is the creative technology brand that provides a constant stream of innovation with their valuable and quality product selection. The brand’s presentation at B.E.S.T.17 was positioned around the world of audio and giving your life the simplicity you deserve. For those who like to sing in the shower, the power of your Smartphone speaker just doesn’t cut it. With iLuv’s AudShower, the sound reaches further. 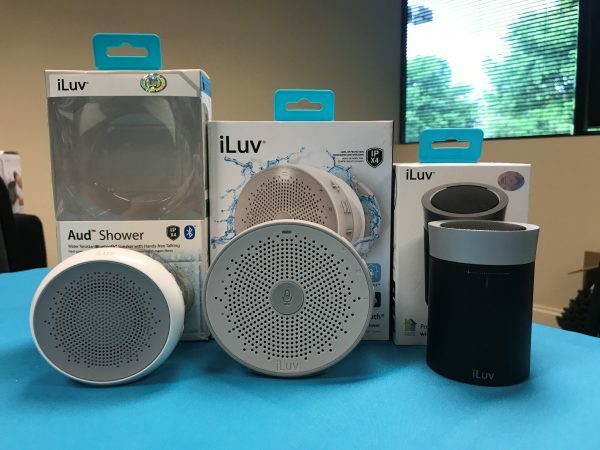 The water-resistant speaker connects to Bluetooth and features a double locking suction cup to lock onto your shower wall, boat wall or the edge of your pool. So users can enjoy their favorite tunes on land or at sea, during bath time or while swimming laps. It also has a microphone to receive incoming calls. Nautilus serves as a world leader in health and fitness, motivating people to live a healthier lifestyle. At B.E.S.T.17, Nautilus revealed different equipment from several of their brands that make for a more effective, more engaging workout. As a leader in home fitness, Nautilus brands also include Bowflex. The Bowflex 560 Smart Dumbbells is the best oxymoron yet. With some of their best technology, Nautilus has found a way to outsmart the user by counting the full reps that are conducted. With this feature that connects to the mobile app via Bluetooth, gym-goers can no longer cheat their way through their workouts. A variation of workouts are available with the paired mobile app, allowing the user to choose which muscle they want to target for the day’s workout. 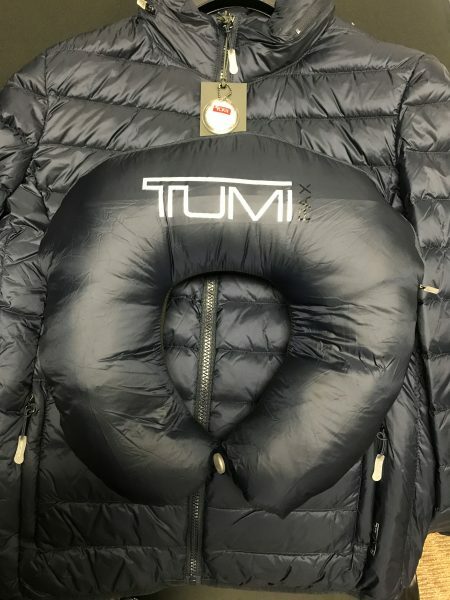 Tumi’s focus lies within international business, accessories and travel lifestyle branding. In the 1980s, Tumi reached their current leadership position with their signature black on black travel bag. Since then, the brand has remained top in the industry with their consistently innovative products made to simplify their consumer’s world. One of our favorite pieces from September’s B.E.S.T is the TumiPax. TumiPax combine function with fashion to make traveling and commuting chic and seamless. The lightweight down jacket converts into a travel neck pillow through the pouch hidden in the collar of the coat. In addition, the lightweight down vest converts into a small travel pillow with the hidden pouch that can be found in the collar. Innovative and fun, TumiPax are sure to please! Beginning in 1975, the founder of Ghurka, Marley Hodgson, designed the first collection of this captivating brand that holds great detail and respect in each individual handbag that is crafted. With these timeless pieces, Ghurka embodies courage and strength within their brand. The stunning selection on display at B.E.S.T.17 showcased the different ages of fine leather within the collection. “Aged like fine wine” is a saying relevant to the Ghurka handbags. Over time, the leather begins to show its age through the natural wrinkles that form, giving each Ghurka bag its own characteristics and elegance. The signature piece, Cavalier II No. 97 is a universal leather duffel bag with a timeless look that features a long strap that can be adjusted with corresponding hooks. Meyer Corporation is one of the largest cookware and kitchenware marketing and distribution companies in the United States. Aiming for constant innovation and improvement with its affiliates and licensed brands, Meyer guarantees their goal of serving top-quality brands and services. Meyer’s flagship brands include Circulon, the first gourmet nonstick cookware and Anolon along with licensed brands such as Farberware, Cakeboss, Rachel Ray and Paula Deen. During B.E.S.T.17, Meyer displayed a multitude of products from their collection of brands, each item making the cooking process both seamless and enjoyable. The Circulon Symmetry Chocolate Hard Anodized Nonstick 8-1/2-Inch French Skillet consists of a high-low raising in the center of the pan to keep the food raised to prevent unwarranted touching and scraping of the non-stick technology. This feature offers better longevity, setting the product apart from the others on the market. As a market leader in development and distribution of household and kitchen products, DKB specializes in developing and managing brands to enhance and simplify home living. Carrying brands like Zyliss, Cole & Mason, Culinare and other licensed brands such as Jamie Oliver and Ken Hom, DKB has developed strong brand equity with their successes. Add a little beauty to your kitchen and spice to your meals with the Cole & Mason Derwent Pepper Mill. The precision mechanism found in this best-selling product holds six different settings ranging from course for meats to fine for salads. 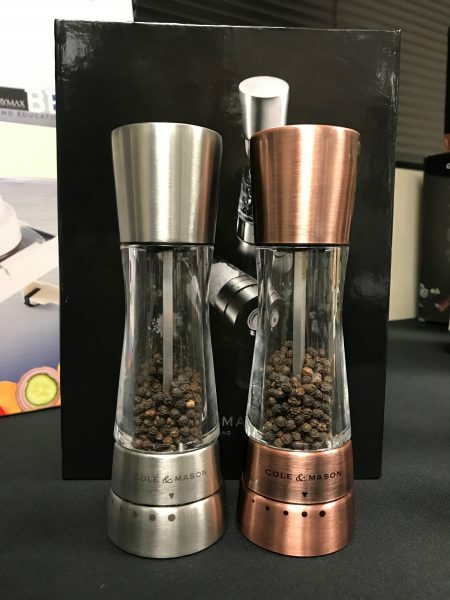 The technology was designed to grind the pieces of pepper by s tripping down the individual layers, releasing different flavors on each setting for the ideal aroma and taste. Totally functional, this product also adds a touch of style and elegance to any kitchen. Made popular with its stainless steel design, this product is also now available in a striking copper finish. Tune in next week to learn more about the groundbreaking products shown at September B.E.S.T.17. To learn more about these brands or how to incorporate these products into your rewards program, please contact us today!